Mark Wallace, Ph.D., drops his glasses on his desk and they land with a metallic clang. He is making a point about autism. 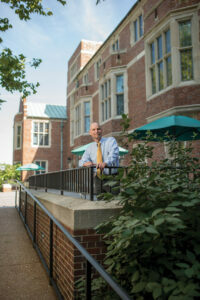 Wallace, who left his position as director of the Vanderbilt Brain Institute to assume the role as dean, and continues to direct his Multisensory Research Lab, was the first to illustrate the link between children with autism and sensory deficits regarding the fusing of sight and sound. 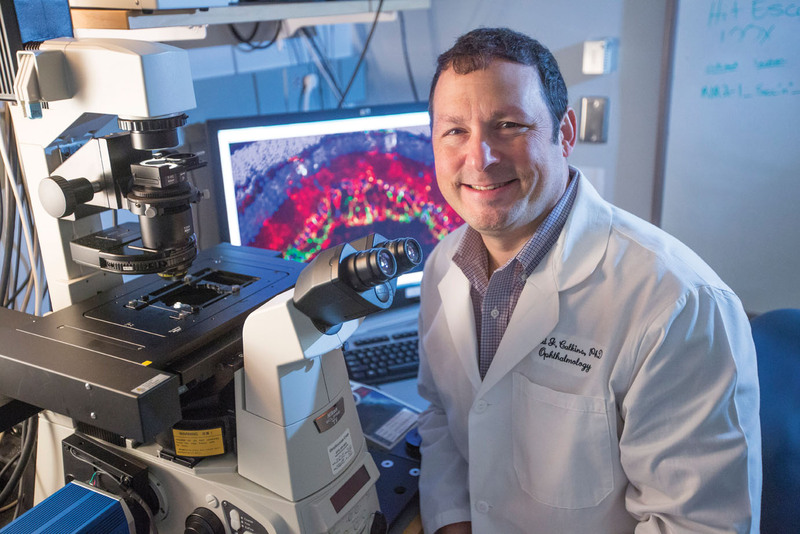 His groundbreaking multisensory research joins colleagues from throughout Vanderbilt University and Vanderbilt University Medical Center (VUMC) who are delving into the science behind the five senses—vision, hearing, smell, taste and touch. 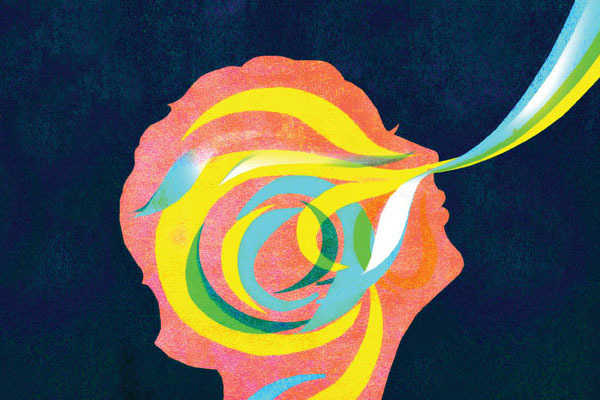 Through research and clinical practice, Vanderbilt professors are working to not only restore lost individual senses, but to treat disorders that present challenges in the way in which two or more senses work together. Vanderbilt is uniquely positioned to do this, Wallace said, citing collaboration among different departments. Wallace’s lab has multiple major projects underway, and out of all of them he is most excited about autism research. Autism, a neurodevelopmental disorder that often manifests as impaired social communication, restricted interests and repetitive behaviors, affects one in every 68 children, Wallace said. The burden on families and on society is enormous, but so too is the opportunity to make a difference, he said. In a series of papers led by Wallace over the last four years, his research group has exposed the audio-visual deficit. Vanderbilt researchers compared 32 typically-developing children ages 6-18 with 32 high-functioning children with autism. Participants in the study went through a series of visual and audio tests making judgments on stimuli ranging from simple flashes and beeps to a hammer hitting a nail and speech stimuli, all the while being asked whether the visual and auditory events were happening at the same time. Like watching a badly-dubbed foreign film, the children with autism were found to combine the sights and the sounds over abnormally long periods of time. Mark Wallace, Ph.D., studies the audio-visual deficit in children with autism. Photo by John Russell. For the next several years, Wallace and his lab plan to translate those basic science findings into better interventions for children with autism. Collaborators will include the Department of Psychology, Department of Hearing and Speech Sciences, Department of Psychiatry and the Vanderbilt Kennedy Center. Current clinical practice focuses on applied behavior analysis, occupational speech/language therapies and pharmacological treatments such as Ritalin. 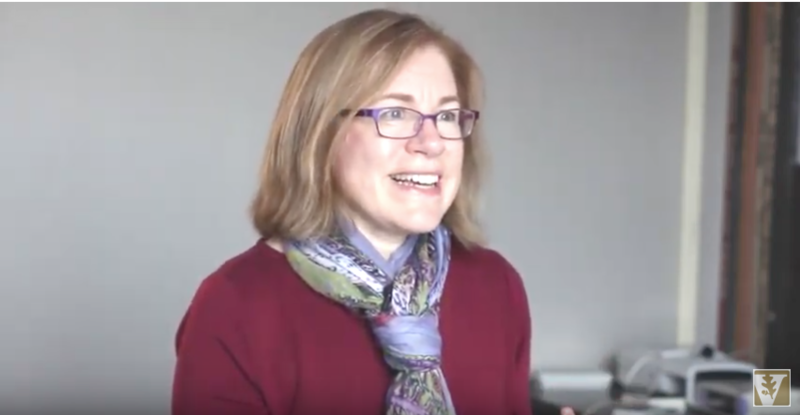 Wallace wants to build on those treatments by studying ways to improve timing perception between sights and sounds seen in children with autism. Wallace has a novel vision for intervention: designing and deploying an iPad game to train the brains of children with autism to reduce the time window within which sights and sounds are bound together. Study participants would get a free iPad, with the expectation that they would play the game 15 to 30 minutes per day during the study. Children could participate remotely, and data from their interactions with the game could be logged remotely. “This world of gaming technologies in the context of scientific research is relatively new, but obviously has powerful, powerful potential for everything that we do,” Wallace said. Using an iPad also means that children with autism, who often have attention deficit disorders and elevated social anxiety, don’t have to sit still for a battery of tests. Vanderbilt’s research on touch spans from premature infants to adults. The sense of touch is one of the earliest modalities to develop in the brain of the fetus, said Nathalie Maitre, M.D., Ph.D., adjunct professor of Hearing and Speech Sciences and former assistant professor of Pediatrics at Vanderbilt, who is now associate professor of Pediatrics, director of the NICU Follow-up Program and a principal investigator in the Center for Perinatal Research at Nationwide Children’s Hospital in Columbus, Ohio. 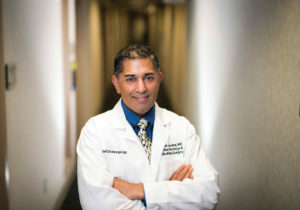 In a study conducted at Monroe Carell Jr. Children’s Hospital at Vanderbilt, in which Maitre was the lead author, researchers for the first time quantified that premature infants have less activity in the part of the brain that responds to light touch than infants born full-term. During the research, the premature infants were given more supportive touch experiences, and they responded more strongly to light touch, as faint as a kiss blown into a hand, Maitre said. “What we compare this to is when a mother kisses her child’s cheek or holds them or the contact in touch that a baby can generate just by rubbing their head against their parent,” she said. Meanwhile, Vanderbilt scientists are making discoveries about activity in the spinal cord, which could lead to restoring touch and function in parts of the body affected by spinal cord injuries. In some of her latest research, Li Min Chen, M.D., Ph.D., associate professor of Radiology and Radiological Sciences and Psychology, sought to find out why some people recover from spinal cord injury without intervention. Using primate models, she discovered a noninvasive method of measuring interactions between the spinal cord and the brain using functional magnetic resonance imaging (fMRI), which could provide the first imaging biomarker of spinal cord function after injury. The ultimate goal is to determine what drives recovery from spinal cord injuries, so interventions, such as electrical stimulation, can be customized. By studying these interactions in individual patients, doctors can potentially better determine a specific regimen of treatment during the early stages after an injury, when the body is most able to recover. And, as part on their work on robotic interfaces for cochlear implant surgery, Robert Labadie, M.D., Ph.D., professor of Otolaryngology and Biomedical Engineering, and colleagues have reported on the tactile thresholds of human beings documenting the limits of what human operators may be able to accomplish. Sometimes, to truly understand deficiencies in one sense, one must study its interaction with another, and vice versa. That is the case for Tonia Rex, Ph.D., assistant professor of Ophthalmology and Visual Sciences at the Vanderbilt Eye Institute. Continuously funded by the Department of Defense since 2009, Rex has been exploring molecular mechanisms underlying vision loss due to eye trauma with the goal of identifying therapeutic interventions. She is now initiating a study on traumatic brain injury patients who experience vision and hearing deficits in order to develop a pathway to the clinic for therapies identified in the laboratory. She is particularly interested in military service members with traumatic brain injury (TBI) who self-report trouble seeing or hearing, but often pass standard hearing and vision screenings. They are typically exposed to 30 such blast situations during their time of service, sometimes many more, she said. 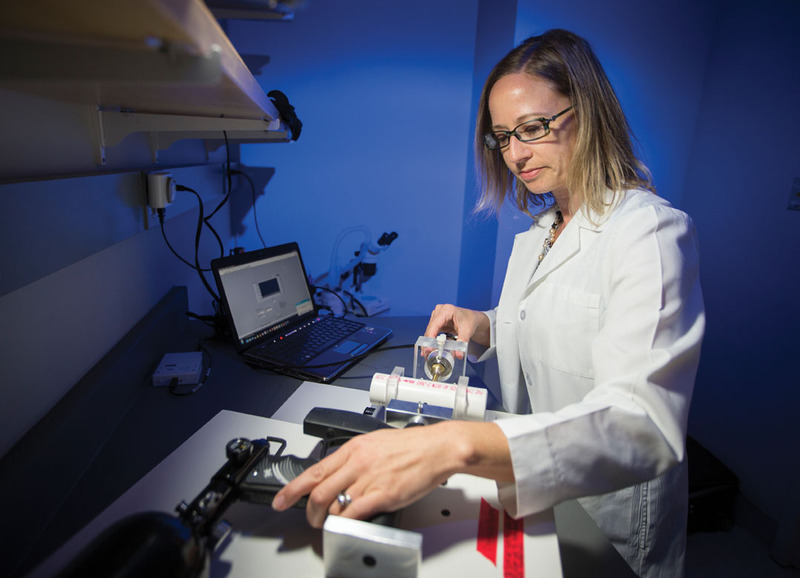 Tonia Rex, Ph.D., models air pressure waves to study new ways to treat vision loss associated with blast injuries. Photo by John Russell. “In terms of their hearing, they’ll often complain of difficulty hearing in noisy settings,” Rex said. “They can have vestibular dysfunction, too, which could be associated. In terms of vision, they’ll often have light sensitivity and difficulty reading. 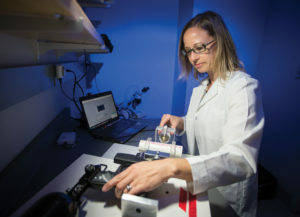 Her latest research will study a civilian and military population with mild to moderate traumatic brain injuries, giving them additional tests that aren’t often performed, such as electroencephalogram and magnetic resonance imaging. These advanced scans will map brain regions to detect deficits in certain areas. In addition, her study will apply some of the same joint visual and audio tests that Wallace has employed in people with autism. By studying both military and civilian populations, she hopes to determine whether there is a difference between TBI that occurs to a civilian via blunt force trauma versus a member of the military who experiences a blast injury. Vanderbilt is uniquely positioned to study both populations, with the proximity of VUMC, Veterans Administration hospitals and Fort Campbell. Within Vanderbilt, the departments of Hearing and Speech Sciences and Neurology, together with the Vanderbilt Eye Institute and Institute of Imaging Science are making it possible. Vanderbilt has more than 50 faculty members, across schools and departments, contributing in vision research alone, said David Calkins, Ph.D., Denis M. O’Day Professor of Ophthalmology and Visual Sciences, vice chair and director for Research at the Vanderbilt Eye Institute and director of the Vanderbilt Vision Research Center. Calkins is excited about current research on several tracks that he believes will restore vision to patients who have lost sight due to chronic disease or injury. One of the means being studied is identifying new treatments to encourage the body’s own cells to regenerate the retina and optic nerve. Last year, Vanderbilt researchers received a $1.9 million grant from the National Institutes of Health to support the research. The initiative has attracted new faculty, students, postdoctoral fellows and residents, as well as spurred collaborations between scientists and ophthalmologists in clinics. Vision researchers are also working with colleagues in the Department of Engineering on techniques to develop new regenerative technologies. David Calkins, Ph.D., studies the molecular mechanisms of neurodegeneration in diseases that affect the visual system. Photo by Daniel Dubois. Another possibility to restore vision that is being researched involves robotic vision — developing and employing electronics that plug into the brain. Prosthetics could be developed to mimic the activity of the retina, much like cochlear implants are used to restore hearing. “It sounds like science fiction, but I think that this is something that will happen in my lifetime,” he said. To make such a vision possible requires understanding how the brain interprets visual information as well as employing computer science to develop programming. Calkins mentions “intelligent prosthetics”—artificial limbs that move according to brain stimuli—as an example of materials that respond to biofeedback. The Vanderbilt Bill Wilkerson Center is a world leader in cochlear implants, one of the oldest and largest in the country. The center performed 248 cochlear implant surgeries last year, said Ron Eavey, M.D., Guy M. Maness Professor and chair of Otolaryngology and director of the Vanderbilt Bill Wilkerson Center. That places it in the top two programs by volume in the country, said David Haynes, M.D., professor of Otolaryngology, Neurosurgery and Hearing and Speech Sciences and co-director of the cochlear implant program. Cochlear implant research also has a strong multisensory component. Wallace is working closely with Labadie and René Gifford, Ph.D., professor of Otolaryngology and Hearing and Speech Sciences and co-director of the cochlear implant program. Labadie, Gifford, Camarata and Wallace, working with Benoit Dawant, Ph.D. and Jack Noble, Ph.D., from the School of Engineering, recently submitted a very large clinical research center grant proposing to change the workflow of cochlear implantation using patient-specific data to create customized treatment protocols. Part of the study would employ Wallace’s audio-visual tests to measure how patients do after a cochlear implant. Another aspect would use imaging technologies to look at the brains of patients prior to receiving an implant to determine how their brains have rewired themselves due to being deaf. “Some of that reorganization is probably good, but in the context of these implants it may actually be bad,” Wallace said. Perhaps vision starts to take over the auditory parts of the brain, something called cross-modal plasticity. The brain might not be able to decipher signals from a cochlear implant as effectively if vision hadn’t colonized the auditory area of the brain. “This potentially is a tool that we can use to better understand what happens after a person gets a cochlear implant,” Wallace said. It’s bad enough for patients to lose their sense of smell but it also means losing a sense of taste at the same time. For example, imagine biting into an onion and not being able to tell it from an apple. 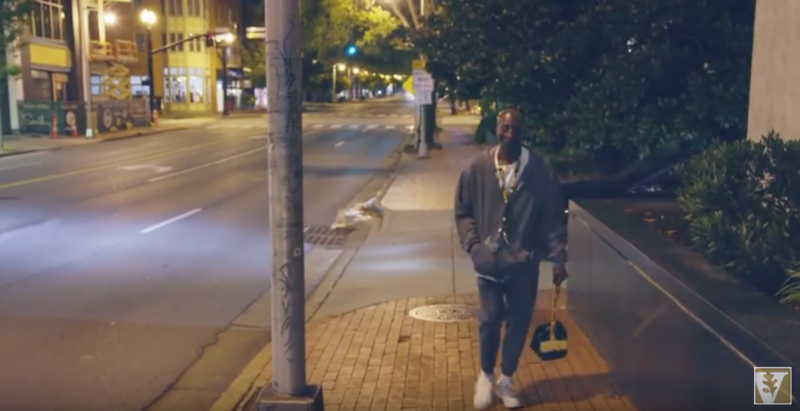 Earlier this year, the Vanderbilt Bill Wilkerson Center started the Smell and Taste Center, a new monthly clinic aimed at treating people who have problems with their sense of smell or taste and don’t know the cause. For most of them, the cause is chronic rhinosinusitis, caused by allergies, nasal polyps or both. The Bill Wilkerson Center specializes in treating such disorders. Less common issues include infections that kill smell nerves and head injuries, and such patients are referred to other specialists at Vanderbilt. Visitors to the clinic may undergo different types of smell tests to determine the problem, such as discrimination, identification and threshold tests. In discrimination tests, patients are presented with a smell and asked what it is. In identification tests, patients are presented with a smell and must identify it from multiple-choice answers. And in the threshold tests, patients are given increasing concentrations of an odor to determine when they can detect it. Rick Chandra, M.D., professor of Otolaryngology. Photo by Susan Urmy. In addition to conventional treatments such as steroids and decongestants, Bill Wilkerson Center scientists are working to better understand what causes chronic nasal inflammation in order to develop better therapies. Turner said researchers are studying eosinophils, a type of white blood cell that is associated with inflammatory and allergic airway disease. “If we can target those, we can more effectively address an individual patient’s sense of smell, which is a big complaint for a lot of our patients,” he said. Researchers are also studying the effect of individual cytokines, which Chandra describes as chemicals that cells use to talk to each other, and some are associated with smell dysfunction. Doctors are sampling mucus in patients to determine whether certain cytokines are associated with smell loss. 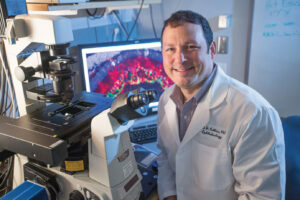 “We’re trying to understand the mechanism a little bit more so that we can come up with more targeted therapies,” said Justin Turner, M.D., Ph.D., associate professor of Otolaryngology and Biomedical Engineering. Timothy Trone, M.D., assistant professor of Otolaryngology; Justin Turner, M.D., Ph.D., associate professor of Otolaryngology and Biomedical Engineering; and Cindy Dorminy, M.Ed., LPN. Eavey said that sensory research is an incredible opportunity at Vanderbilt.